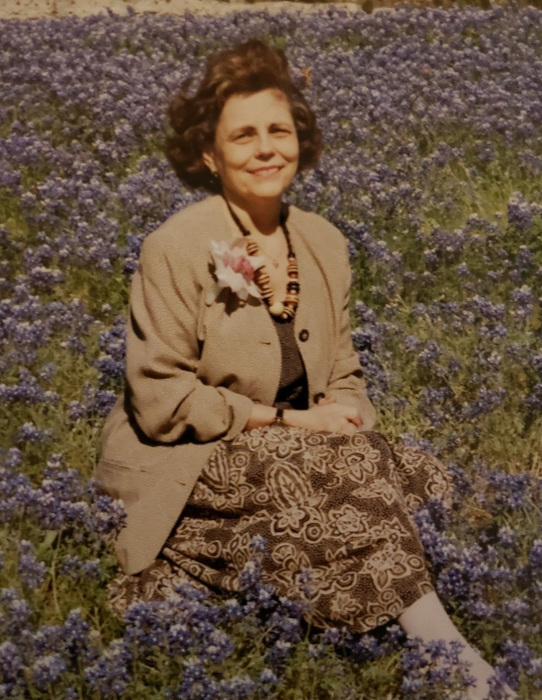 Linda Ann (Eddy) Westerman, 79, of Bastrop, Texas went to her heavenly home on March 15, 2019. Linda was born on January 9, 1940 in Marietta, Ohio to John Isaac Eddy and Edith Marie (Harris) Eddy. She married Byron H. Westerman on September 13, 1959 at First Presbyterian Church, Marietta, Ohio. Linda cherished her husband Byron for their fifty-nine years of marriage. She ensured that those dear to her knew they were loved beyond a shadow of a doubt, raising four daughters, seven grandchildren, and four great-grandchildren. After graduating from Saint Catherine University, St. Paul, MN, Linda became a registered nurse at the age of thirty-five, always having a smile and a compassionate word to comfort her patients and their families. In retirement, Linda enjoyed attending church services, socializing with her gardening club, lunch bunch, and keeping up with the grandkids. She loved and contributed to every group which she was a member of, and could always be found beaming in the front row of the choir on Sunday morning. Linda was known for her kind smile and generous word, offered to everyone she met. She is survived by her loving husband, Byron; four daughters: Anne Marie Davis (Scott), Amy Lynn Turnage (David), Alicia Mae Lauterer (Kenneth), Andrea Diane Westerman; seven grandchildren: Samantha Leigh, Scott Michael Jr., Andrew David, Emily Katherine, Matthew Jacob, Megan Elizabeth, Caroline Marie; four great-grandchildren: Lucas Michael, Wade Leamon, Jackson Thomas, Tyler Robert; brother George Eddy; numerous nieces, nephews, and cousins. She is preceded in death by her parents John and Edith, brother Doug, and sister Lucie. An ardent football fan, her life will be celebrated among fellow Buckeye-loving family members this fall in Ohio. In lieu of flowers, the family requests donations be made to First Presbyterian Church of Smithville, 300 Burleson Street, Smithville, Texas 78957.